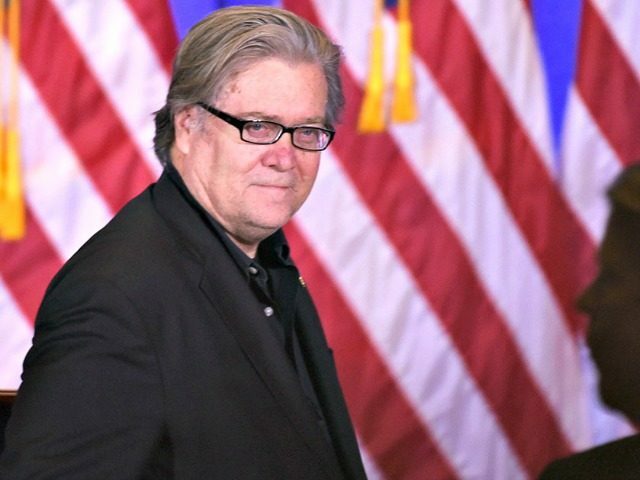 Breitbart News Executive Chairman Stephen K. Bannon unleashed a stream of indignation at failed presidential candidate Mitt Romney after Romney impugned West Point-grad and Vietnam veteran Roy Moore’s “honor and integrity” Tuesday. “What did [Mitt Romney] say yesterday? … That judge Moore lacked honor and integrity and that’s why he couldn’t vote for him?” Bannon asked the audience in a packed Fairhope, Alabama barn who had come to support Judge Moore’s U.S. Senate bid. Mitt, Mitt, here’s how it is brother. The college deferments … we can debate that … but you hid behind your religion. You went to France to be a missionary while guys were dying in rice patties in Vietnam. Do not talk to me about honor and integrity! And now I’m gonna get personal. You ran for commander-in-chief. You had five sons. Not one day of service in Afghanistan and Iraq. We have 7,000 dead and 52,000 casualties. Where were the Romneys during those wars? You want to talk about honor and integrity brother? Bring it. Bring it here to Alabama! You have the guts to get on the stage with a man who served in Vietnam and you expect us to believe “honor and integrity?” Judge Roy Moore has more honor and integrity in the pinky finger than your entire family has in its whole DNA! This did not, however, prove to be the end of Bannon’s riposte to Romney. He then tied the entire affair back to Romney’s shocking disavowal of his successor as Republican presidential nominee at the critical juncture of the 2016 campaign. Similar to his comments about Judge Moore, Romney, in March of 2016, called Trump, who had wholeheartedly endorsed him four years earlier, a “fraud” and a “phony.” Eight months later Donald Trump did what Romney could not despite two attempts: win the presidency of the United States. Bannon and Romney have come repeatedly into conflict as Mitt tries to relaunch his political career as the leader of so-called “Never Trump” Republicanism. Reports have named Bannon as one of the primary obstacles preventing Romney from doing so with a Senate bid of his own in Utah.